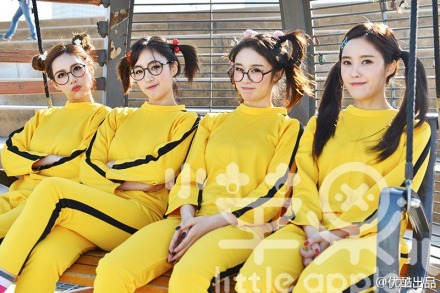 After revealing the first set of photos from their music video filming of the Korean remake of “Little Apple”, T-ara has revealed additional photos ahead of the November 24th release date! You can click on the photos above to see bigger images. 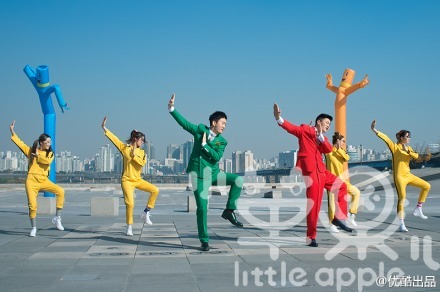 The men featured above are the Chopstick Brothers who are the original singers of “Little Apple”. They will also be featured in the music video! MBK has chosen T-ara to be the next leading Korean group to take their chances at success in Korea for a reason: T-ara already has proven to be incredibly popular in China with their music videos ranking #1 amongst other K-pop artists. “Little Apple” is only the beginning of T-ara’s foray into China but for it, T-ara will be teaming up with China’s top video website Youku to help launch a major promotion for their video and song. According to Chinese media, T-ara will release both a Korean and Chinese version of the song and video, but so far only the release date of the Korean version has been confirmed. The two pictures above are of F-ve Dolls’ Seunghee and Dani. They will also be guests in the music video. 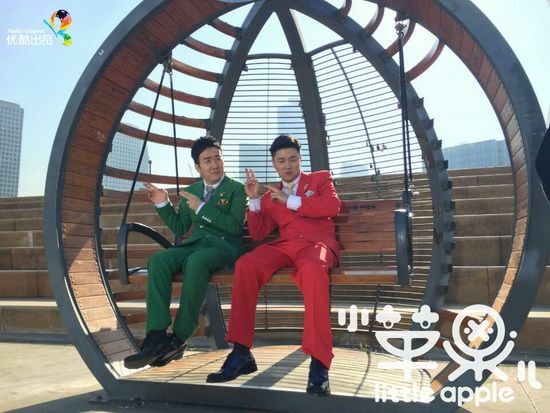 Ahead of the release of the “Little Apple” project album and music video on November 24th, the Chopsticks Brothers are heading to Los Angeles to perform at the American Music Awards on November 23rd. In addition to performing, they are nominated for the “Best International Music” category. 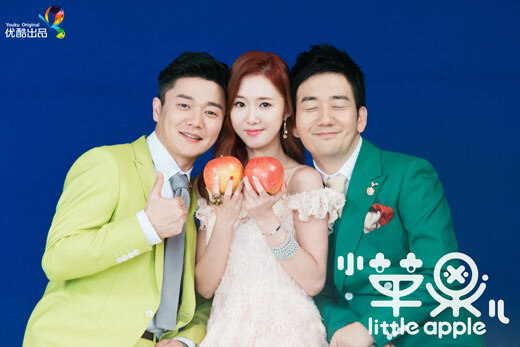 To add on, the MV is directed by Cho Soo Hyun who produced Gangnam Style etc. I Hope They Recieve Alot Of Love From The Whole World And Be So Popular^^ Fighting! Who is the fat lady in the last picture? 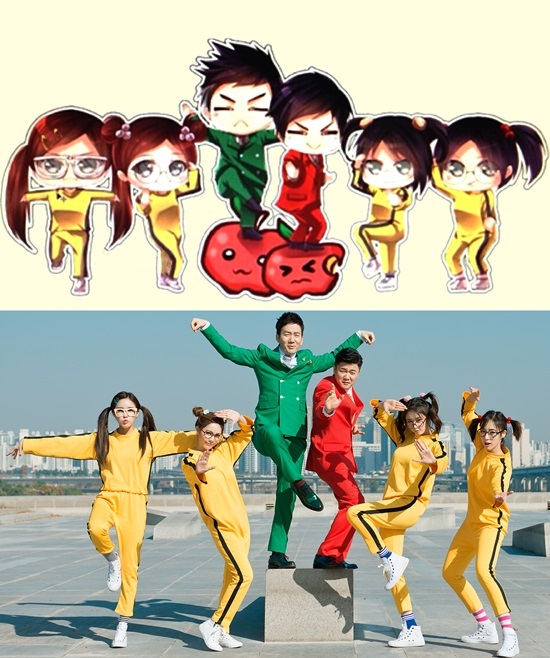 I think i saw the lady in t ara practice video with chopstick brother…. This is one amazing Birthday present they got me lol finaly something to look forward to on my birthday. 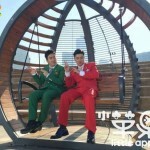 will this video be the next gangnam style? so i hope t-ara will be booming in world too in this year 2014 ! I heard she was a comedian before but now she is MBK stylist. 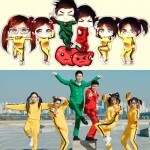 T-ARA releases behind-the-scenes videos for "Little Apple"
Did any of you guys take a look at this? Not sure if anyone already posted about this, but apparently t-ara got their own official youtube page? Holy cow! Dani was in the Music Video!! I never realized until now..